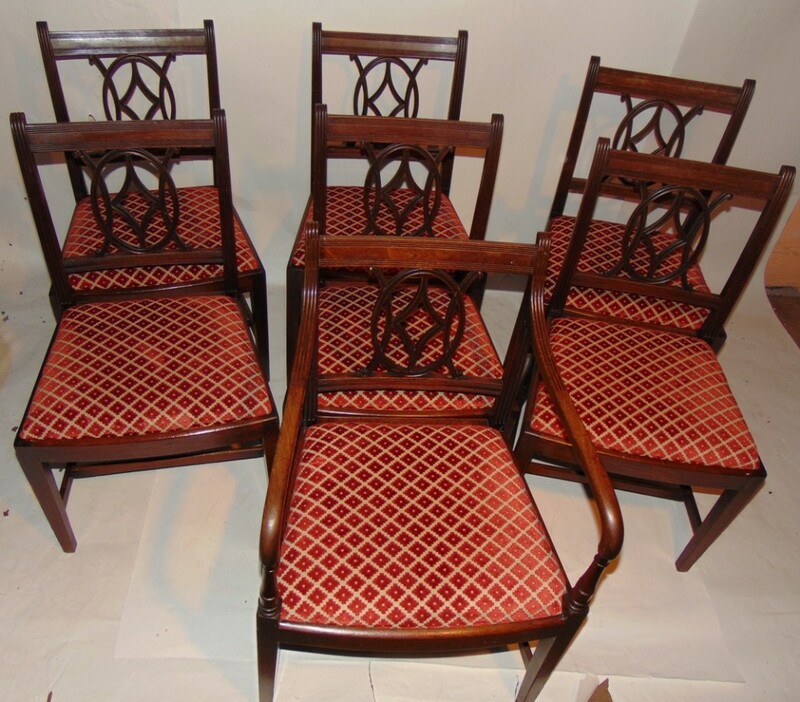 Most attractive set of Georgian mahogany dining chairs comprising six singles and one elbow chair. 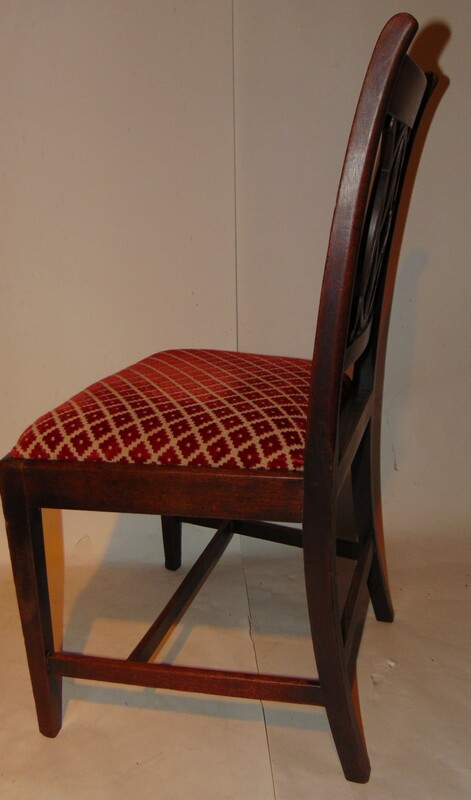 Narrow top rail with elegant interlaced backs and standing on square tapered legs united with plain stretchers. 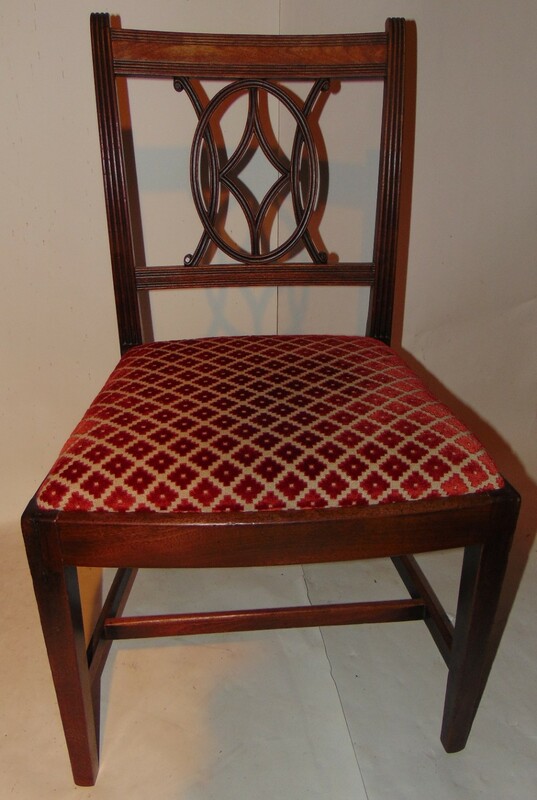 Recently re-upholstered drop in seats. 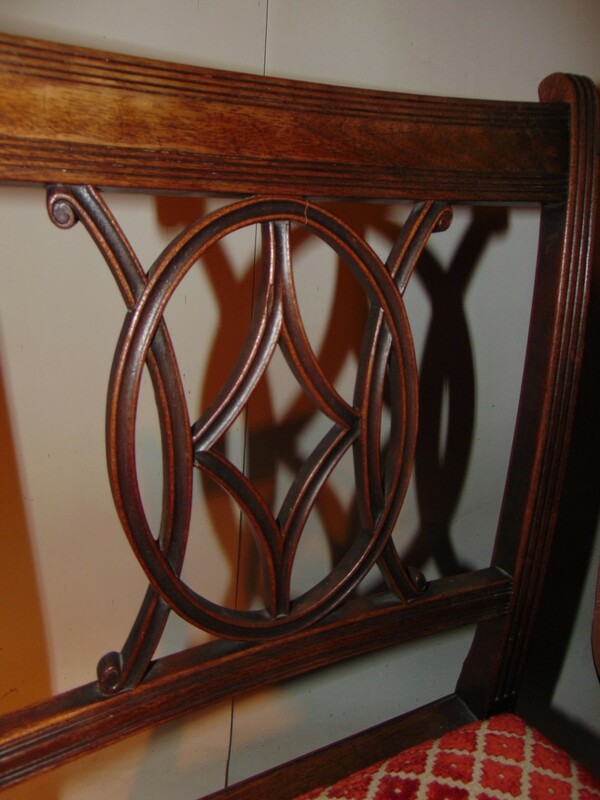 Bow front rails. 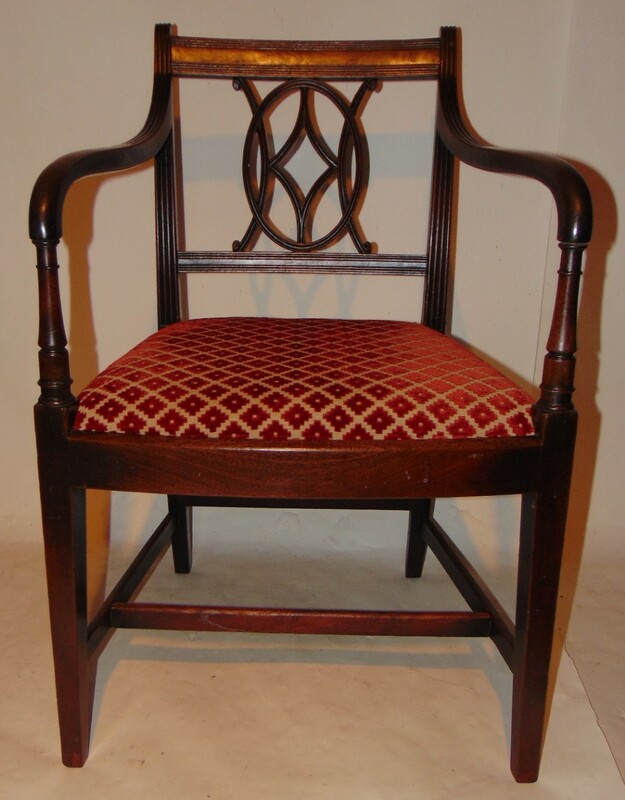 All in fine original condition but with few small repairs to backs. 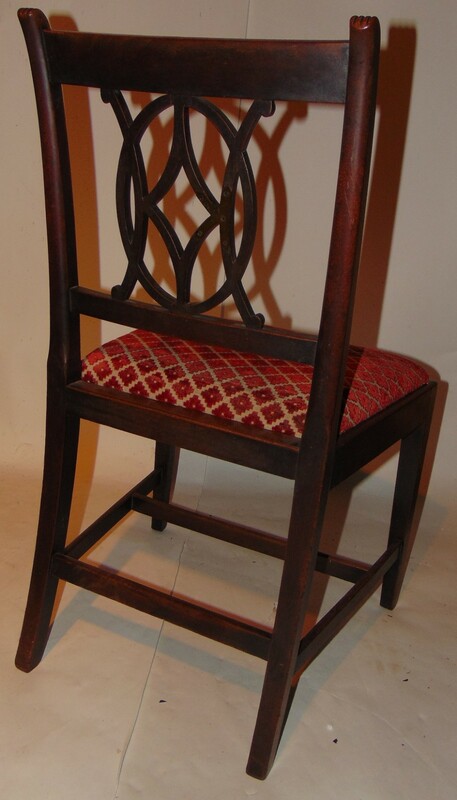 Lovely rich colour with fine waxed patina. All are firm and solid and ready to use. 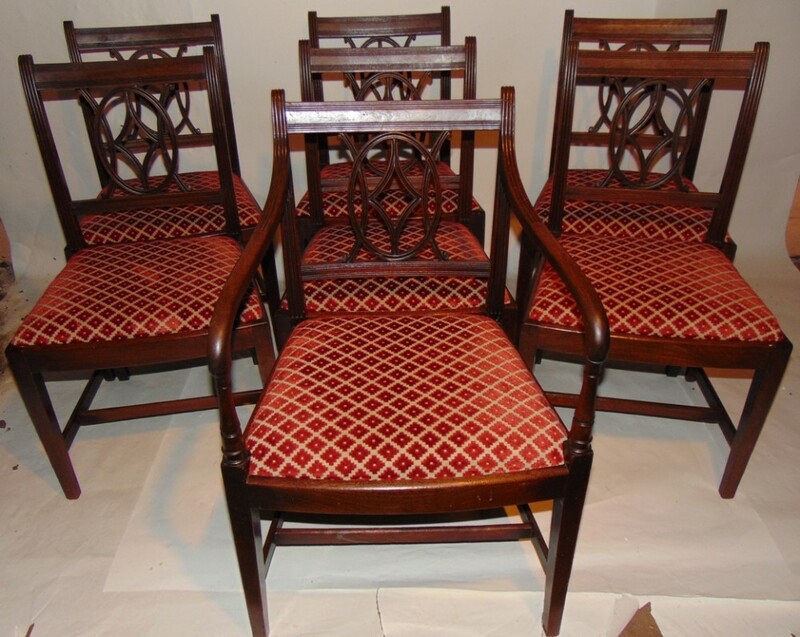 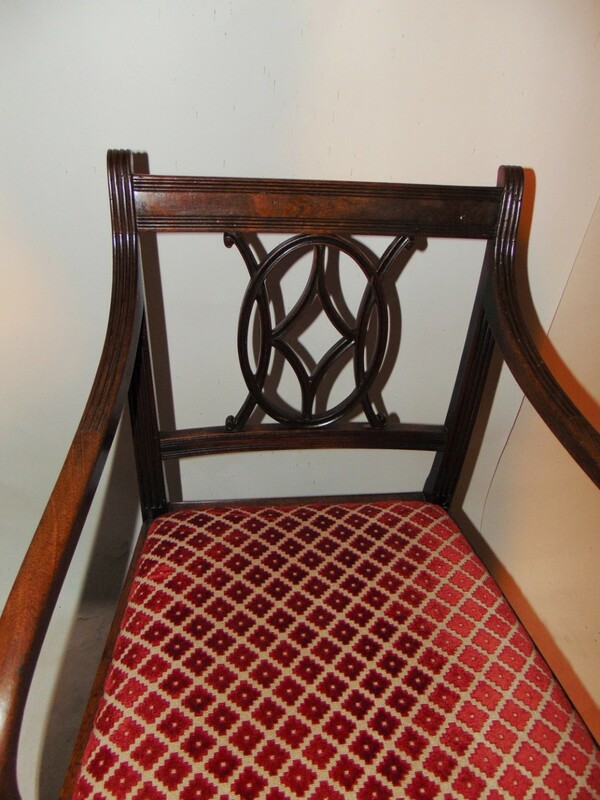 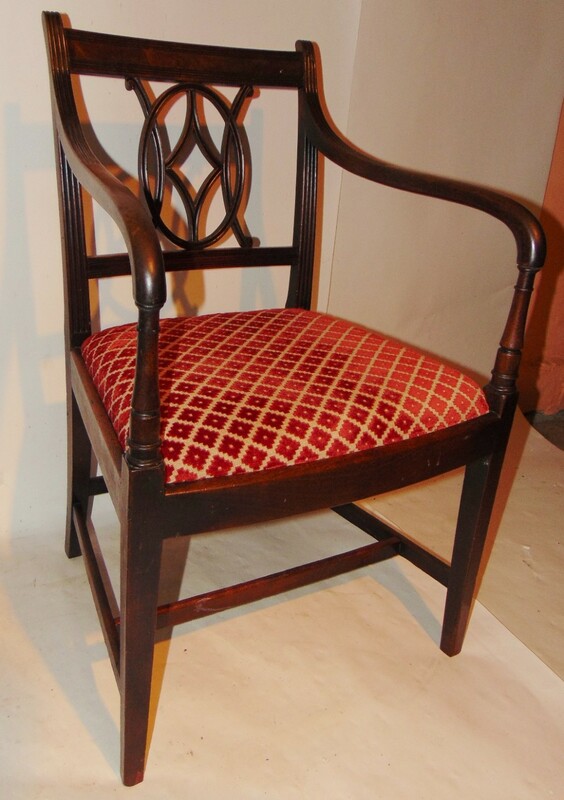 The Set 7 Georgian mahogany chairs Circa 1800 has been added to your saved items.